A few days ago Dassault Systemes (DS) released a press release announcing that the first online, co-created military vehicle was delivered through the collaboration of Local Motors, DS, and 12,000 community members. I was really interested in this announcement because of the concept of crowdsourcing, I had never heard of Local Motors, and what in the heck was a co-created military vehicle? After delving into more details about Local Motors, and trying to find out if this military vehicle could withstand IED’s (improvised explosive devices, as often used in Iraq and Afghanistan) I was a bit confused. The DS PR people were kind enough to put me in touch with Al Bunshaft, Managing Director of DS North America. Al and I spoke recently, and you might be interested in what I found out. First of all, this is a DARPA initiative (Defense Advanced Research Projects Agency). By the way, DARPA is the agency that provided the early funding for what later became the Internet. So, when I hear that DARPA is involved my ears always perk up. This project appears to be one of a series of projects DARPA is initiating to see if there are better ways to provide defense sourcing differently than in the past; namely, cheaper, more rapid development, faster deliveries, and the delivery of specialized vehicles without a massive dollar commitment. Here is what DARPA had to say about the requirements for this vehicle. “It is important to note that even though this is a militarily relevant vehicle, this is not an offensive fighting vehicle. The goal of this vehicle will be to transport items and/or people around quickly and efficiently in a potentially hostile but mobile environment.” I found it interesting that the design requires no body armor to protect against IED’s. Apparently the military feels that a fast off-road vehicle for emergency transportation can be effective, especially if it can avoid heavily traveled roads. This winning design appears to do just that. DS was heavily involved with Local Motors, supplying much of the core CAD, CAE, and PLM technology, namely Catia, Simulia, Enovia, and visualization tools. 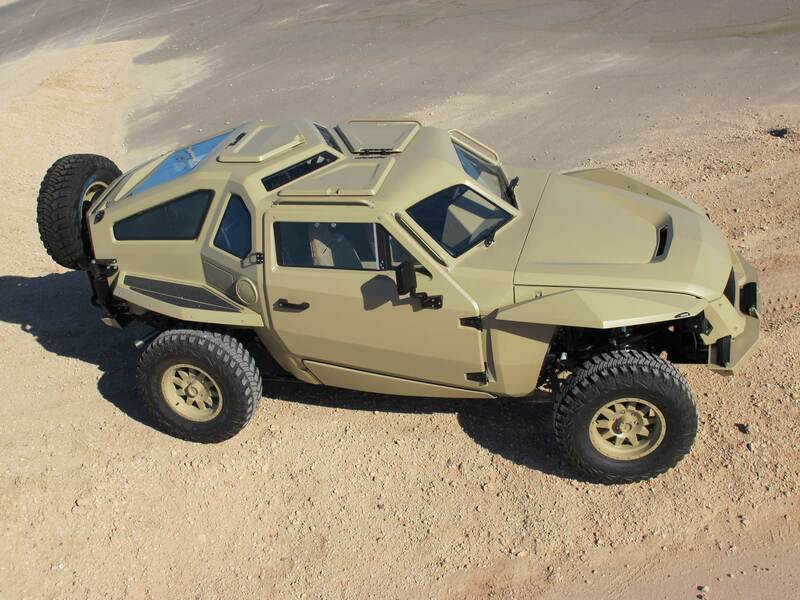 The winning design was based on Local Motors’ Rally Fighter chassis, a street legal rally vehicle. Contributors were invited to submit their design concepts using any design tool, even paper based drawings and ideas. Both Local Motors and DS personnel were heavily involved in converting and assembling the submitted designs into a workable CAD model. To vote on the final designs a panel of military and commercial experts was assembled. Then Local Motors sourced the components and assembled it at their micro factory in Arizona. Here is what it look like. Click here for the DS press release. http://www.local-motors.com/XC2V Click on the description for an excellent description of the vehicle mission.